As Britney Spears rises again, strutting onto stages to tour her comeback album Circus, I’ve started to wonder what will happen to the popular phrase to pull a Britney. It’s hitherto meant doing something outlandish: with or without shaving your head, marrying your childhood sweetheart and annulling within three days, or having two kids within a year. Now, because the phrase is so ingrained in popular lingo, perhaps it will come to mean achieving new heights of popularity by acting crazy. The term is as ensconced in popular lore as the superstar herself. Celebrity-based words and TV speak are increasingly wending their way into daily speech, reflecting a fame-obsessed society. Before you get the hateration on for this column because you can’t handle the truthiness of what I have to say, I urge you: check it out! (That’s American Idol‘s Randy Jackson speaking, not me.) Words from the celebrity world are slowly creeping into our lexicon. Meh, you say, shrugging your shoulders (by the way, that word popularized by The Simpsons is on its way into the Collins English Dictionary next year). 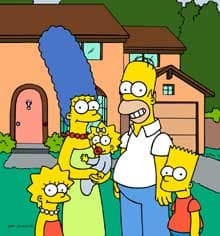 The Simpsons as linguistic innovators? I mused when this first started to happen. O.J. Simpson in the news again brought back memories of the white bronco, a term now parked in the Urban Dictionary to mean getaway car. Maybe what that O.J. needs is some more bling. That word, now in the Oxford English Dictionary, was thought up in the late 1990s by rappers Cash Money Millionaires. Then there was of course jump the couch, made famous by Tom Cruise, which means going off the deep end, as he so famously did on Oprah. 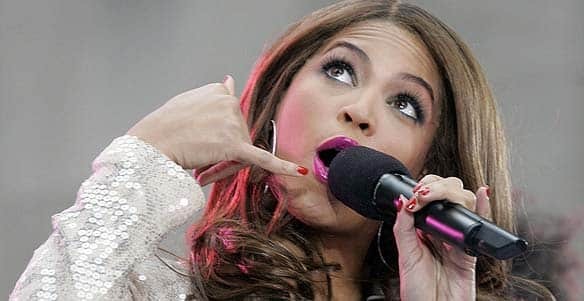 Rachael Ray’s EVOO (extra-virgin olive oil) is now in the Oxford American College Dictionary and Beyonce’s immensely popular bootylicious has sashayed its way into the OED. 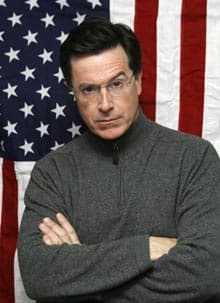 The Urban Dictionary includes political satirist Stephen Colbert’s word truthiness, Jon Stewart’s creation catastrof**k, Mary J. Blige’s hateration, and the unabashedly simple That’s hot! from that celebrity we love to hate, Paris Hilton. In addition to the celebrity lingo, language spawned by television has been working its way into popular speech. Think of our Seinfeld-isms: yada yada yada, “Not that there’s anything wrong with that,” high/low/close talkers, double-dipping, and the list goes on. Then there’s the lingo from the sitcom Friends: the oft-quoted “How YOU doin’?” and the uber popular so-not combo as in: “I’m so not going out with that guy.” Seriously? That’s so Grey’s Anatomy. While English has long incorporated lingo from the entertainment world, the cool cats pace of acquisition of our parents’ generation is much faster now, says Tim Blackmore, who teaches popular culture at the University of Western Ontario. We have the rap world, we have mega stars who shamelessly market themselves, and we have a proliferation of talk shows and reality shows that contribute to our daily lingo. You know, the whole sista ebonics of Tyra Banks and the bumbling deadpan of Ellen Degeneres (who, incidentally, has her very own dictionary). Of course, there’s also the quick repartee of political satirists Stephen Colbert and Jon Stewart. Blackmore notices lingo popularized by rappers and talk shows is creeping into daily conversation. He reels off a list: don’t go there, that’s so whatever, I’m all about the (fill in the blank), let the healing begin, that’s what I’m talkin’ about, and my favourite: talk to the hand! Blackmore says the issue is there isn’t any conception that what people like Colbert and Stewart say on TV isn’t actually ‘normal’ conversation; it’s been heavily scripted by many people. But with Canadians spending an average 21 hours per week watching TV, we may just fall into repeating what the stars say. “This language shows that we’re on top of things, that we’re hip to it,” says Blackmore. In our fast-paced world, we want to have a smart answer, a slick reaction — and these celebrities do what we feel we can’t do for ourselves. It seems that in talking like celebrities, we’re simply mimicking people we deem successful. We use that ancient tool of language: gossip. Social psychologist Frank McAndrew from Knox College in Illinois just wrote a comprehensive article on gossip for Scientific American Mind. McAndrew says we chat about celebrities because we’re so intimate with the details of their lives that we feel we know them. Anthropologically, we consider them part of our inner circle. “We may look to celebrities to learn strategies for being successful, just as we looked to the most influential members of our tribe (e.g. the best hunters and warriors) in days of yore,” says McAndrew. So what’s the fallout of all this celebriteez lingo? As Tim Blackmore deftly puts it: “Knowledge produces eloquence and vocabulary. Going from TV show to TV show produces pickup lines.” He notices that his students are slower to come up with a considered response, consumed by their desire to be quick and funny. He says when they’re asked to form an honest answer to a question without quips, they often pause, saying they don’t know. But after some hemming and hawing and formulating and reformulating of sentences, they do get down to substance. So the deep thoughts are there; it’s just a matter of finding our own words to express them. In the end, maybe this celebritized language is an exercise in democracy. We’re all equal in our quest for a crib, a boo, and occasionally a little bling, and in so pursuing, we’re all speaking the same language. I believe there is some truthiness to that.